The last time my husband and I went to an official Oktoberfest was on my 38th Birthday, pre-Lennon. We dressed in Dirndl and Lederhosen and took the train far out of town. The festival took place in a tent set up as an enormous beer hall with a stage at one end. The beers were enormous. I had three. I think. 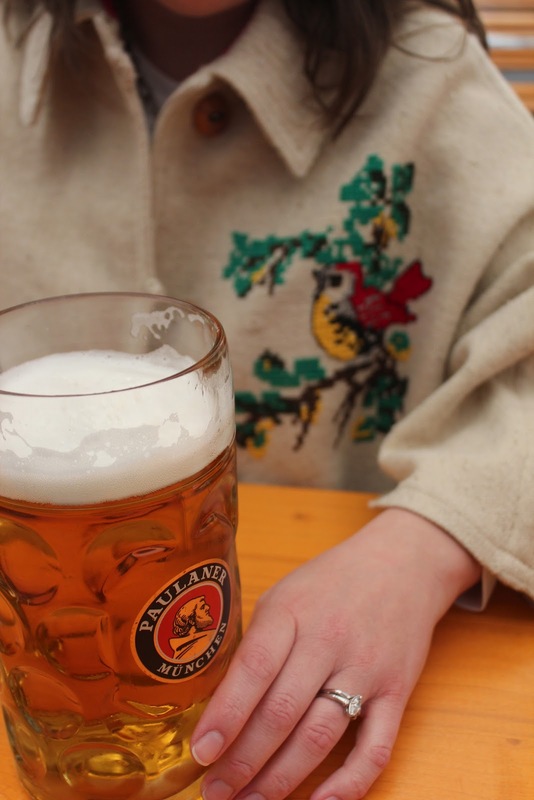 We decided—and hoped—that the next time we attend an Oktoberfest, it would be with our child at a family friendly event. 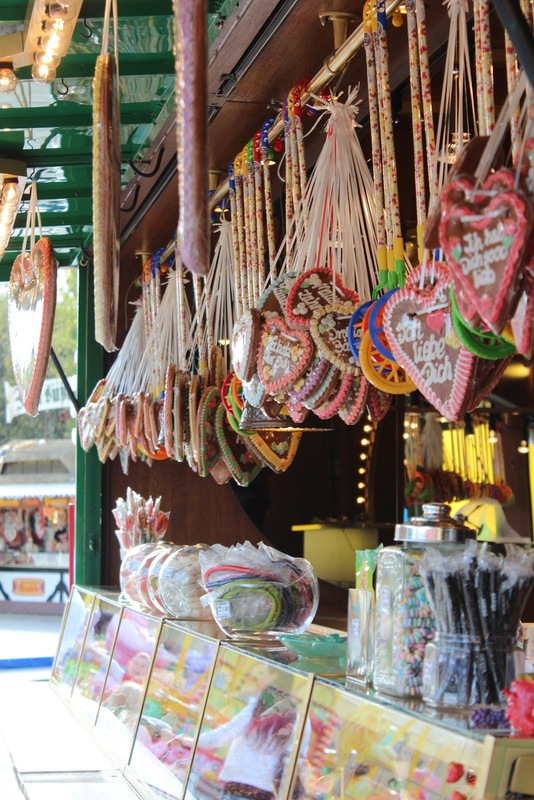 Today we took the train not so far from our home to Reinickendorf, near Tegel Airport in Berlin for the 62nd Berliner Oktoberfest, billed as a family oriented type festival with child friendly activities and fun. In my mind’s eye, I pictured a rustic, farm like atmosphere with autumnal charm. We all dressed for this scene. 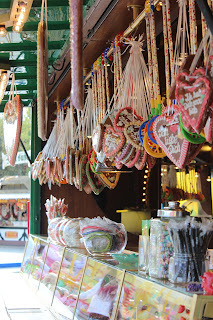 In reality, the 62nd Berliner Oktoberfest was more akin to a travelling county fair, with all its tacky, carnival glory. We loved it. The fair rides and booths were positioned in a circle with the Oktoberfest tent at the back. The tent was where you went for the music and the serious eating and drinking. Knowing Lennon would be too small for any of the rides or activities, we headed to the tent, scoped out a table, and waited for some pork. The Oktoberfest waiters were using iPod Touches for their ordering and they hadn’t been programmed properly, delaying service. An hour past before we got our Schweinehaxe and Lennon got his Brezel (pretzel)—Nicholas took it upon himself to get our beverages early on from the bar. Baby boy had a bit of a carbohydrate overload today. Nothing a little fruit and veggies for dinner won’t cure. On the way out we grabbed a sweet treat of some roasted candied almonds. Delish. I’m claiming a bit of exhaustion here, just for the record. Luckily, my husband has the next two weeks off from work. Not only will he be able to enjoy my Birth-Days with me, he can help out when I’m interested in performing my 30 minutes of silence. I also have several research related tasks next week that need to happen in addition to celebrating my birthday, so his timing is well placed.